This Indian-Spiced Salmon recipe is a snap to put together on busy nights -- it takes just a few minutes to prepare, and about 15 minutes to cook. But thanks to a sprinkling of the deliciously complex spice blend known as garam masala, this dish has nuanced flavor that belies its simple preparation. Ingredient Note: Garam masala is a fragrant, warming spice blend that is used widely in Indian cuisine. There are many variations on the basic recipe, but coriander, cumin, pepper, cinnamon, ginger, cardamom, and cloves are often included. You can find prepared garam masala in the spice aisle of many supermarkets, or you can make your own. Tip: For casual meals served family-style, I like to use a single larger piece of fish in this recipe. But if you're serving a more formal meal to guests, you can have your fishmonger cut the salmon into individual 4- or 6-ounce (113g or 170g) portions. Place the fish in a baking dish slightly larger than the fillet(s). Sprinkle the fish evenly with the garam masala. 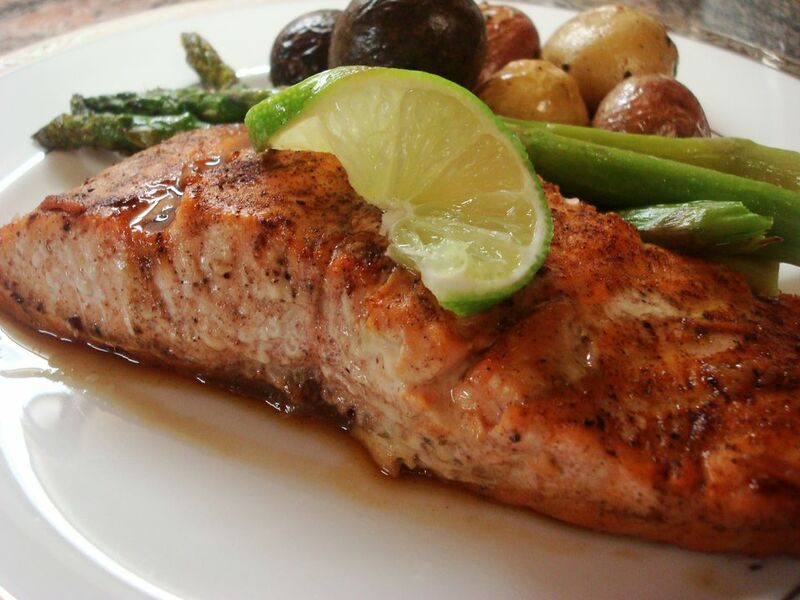 Whisk together the lime juice, soy sauce, and maple syrup and pour over the fish. Serve with lime wedges. Enjoy!